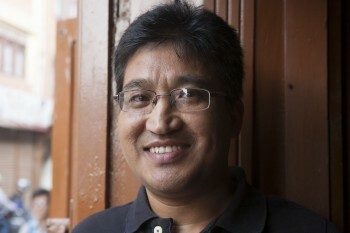 Kaligarh (kā-li-garh) means artisan. 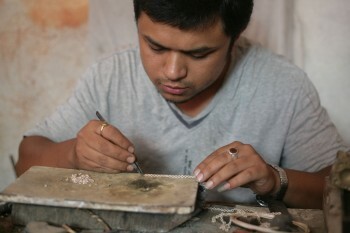 Each Kaligarh product is handmade by small-scale artisans in Nepal and elsewhere in the Himalaya. 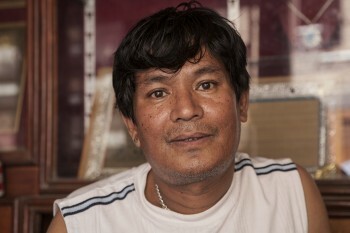 Tirtha is 39 years old, and is a highly skilled repoussé artisan. 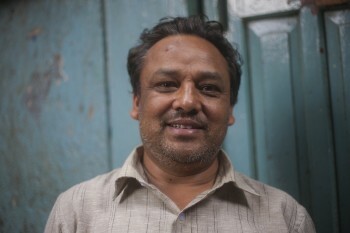 Since the earthquake of April 2015 damaged his family home, he has been living with his wife and their child on the outskirts of Patan, though he misses his old neighbourhood. He works from a room in his home. Having worked with metal since he was young, he later decided to learn the craft of repoussé, which requires tremendous dedication and patience. He is passionate about the need to continue this craft, which was once the speciality of his community. 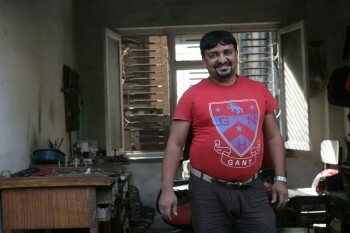 Ramesh has been working as a silversmith for around 25 years. An experienced artisan, he enjoys trying new designs and methods – and doesn’t stop until he’s got it right! We love him for his determination, openness and cheeky smile. Jyoti is of Nepali and northeast Indian heritage, and grew up in Wales. She studied anthropology followed by international development at the London School of Economics and Political Science. Upon her move to Nepal in 2009, she worked in advocacy on behalf of the world’s least developed countries, and then with the Dwarika’s Group, a socially responsible group of companies focused on tourism. She founded Kaligarh in 2013. She is passionate about craft and about supporting small-scale artisans to earn a dignified living through doing what they do best. She is currently based in London, and in addition to Kaligarh, works in marketing and communications for cultural organisations. Having first joined Kaligarh in 2014, Lasta is one of our oldest team members. 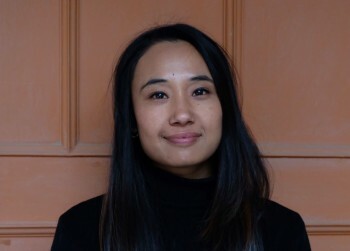 She manages sales through the studio in Jhamsikhel. When she’s not in the studio, she can be found whizzing around the city coordinating production and shipping.